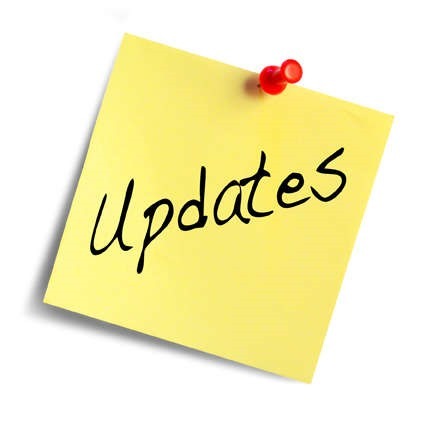 Alongside the announcement of down-level support for Windows 7 and Windows 8.1, there is more exciting news in regards to Windows Defender ATP. 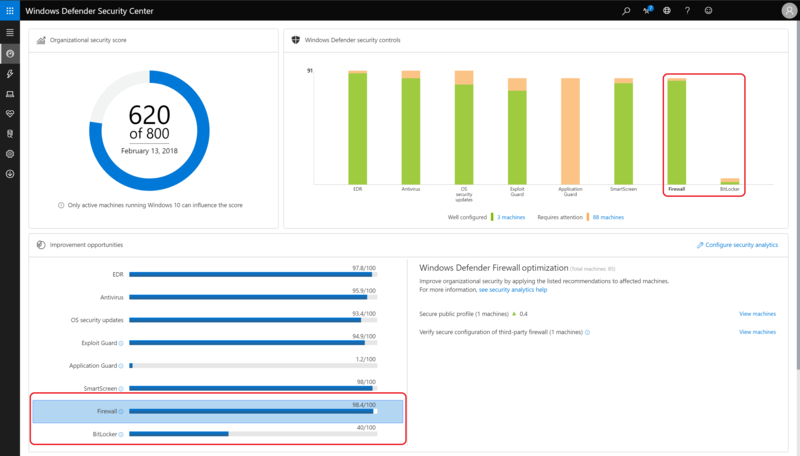 Since today Windows Defender ATP Security Analytics is extended with two new security controls; BitLocker and Firewall. This week the Azure AD Product Team did a great job by updating the Azure Application Proxy service to allow you to publish NDES using Azure Application Proxy, which is great news! Pieter Wigleven, Microsoft Technology Solution Professional on Enterprise Mobility has posted a great serie of posts on setting up certificate distribution to mobile devices. A must read! Part 1 – First tips and tricks on how to troubleshoot and check existing ConfigMgr/SCEP/NDES infrastructures. Part 2 – After many asks for clarity, a full guide on how to install and troubleshoot ConfigMgr/SCEP/NDES. 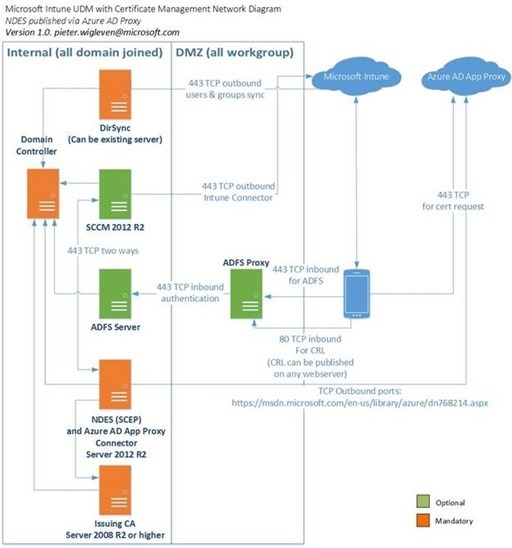 Part 3 – Using an additional reverse proxy in a DMZ in front of NDES. The reverse proxy of choice was Windows Server 2012 R2 with the Web Application Proxy role installed. In part 4 Pieter will outlines the set up of publishing NDES by Azure Application Proxy service, a cool solution that just have been made possible! Azure AD Application Proxy (Web Application Proxy from the Cloud) lets you publish applications, such as SharePoint sites, Outlook Web Access and other web application, inside your private network and provides secure access to users outside your network via Azure. Azure AD Application Proxy is built on Azure and gives you a massive amount of network bandwidth and server infrastructure to have better protection against DDOS attacks and superb availability. Furthermore there is no need to open external firewall ports to your on premise network and no DMS server is required. All traffic is originated inbound. For a complete list of outbound ports take a look at this MSDN page. Azure AD Application Proxy is a feature that is available only if you are using the Premium or Basic editions of Azure Active Directory. For more information, see Azure Active Directory Editions. If you have Enterprise Mobility Suite (EMS) licenses you are eligible of using this solution. The Azure AD Application Proxy connector only installs on a Windows Server 2012 R2 Operating system, this is also a requirement of the NDES server anyway. 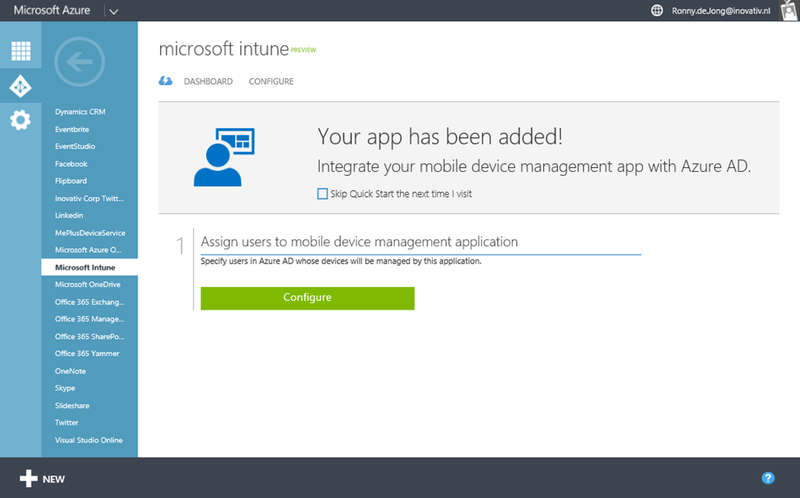 In the first two blog posts I covered the theory how deployment of certificates works to mobile devices using Microsoft Intune NDES connector followed by setup and configuring the connector. In this third blog – part 3 – I’ll outline the depoyment of both Trusted CA Certificate Profile and SCEP Certificate profiles to mobile devices. At the moment there’re several scenario’s to manage and provisioning users to Windows Intune in order to enable Enterprise Mobility Management (EMM) or simply said – managing your mobile devices. As the process of provisioning users to Windows Intune in combination with Configuration Manager 2012 R2 is not always clear I’ll provide you some insights and tips where and how to troubleshoot. As mentioned I’ll will focus in this post on a hybrid scenario using Configuration Manager 2012 R2, Windows Intune and on-premise Active Directory where Azure Active Directory Sync (aka DirSync) is used to syncronize on-premise users to Windows Intune (Azure Active Directory).